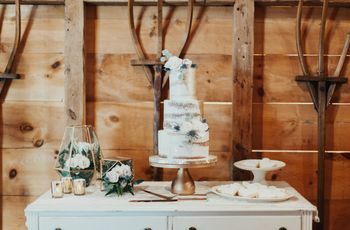 9 Trendy Wedding Cake Designs for Every Style | Wedding Ideas ARE YOU A VENDOR? A custom wedding cake design is great for showcasing your personality at the reception and incorporating a few trends into your decor. If you’re not sure exactly what type of cake you want, check out some of our favourite designs here. 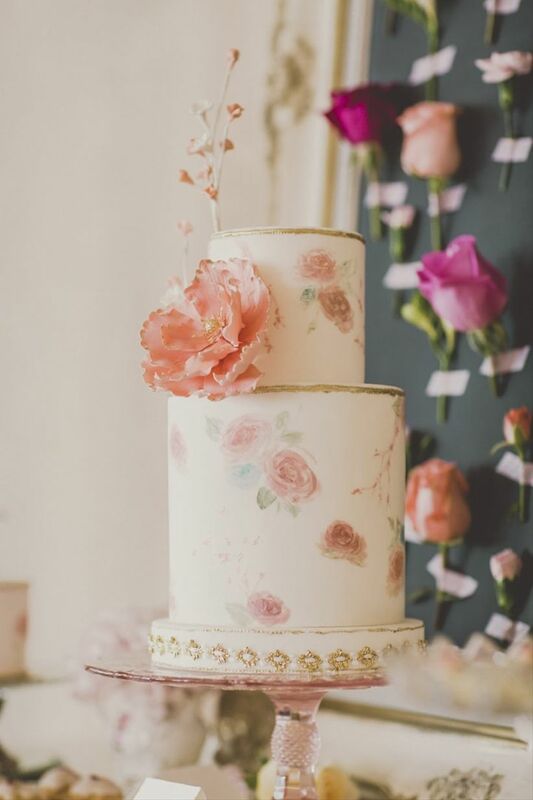 Here are trendy wedding cake designs for every style. 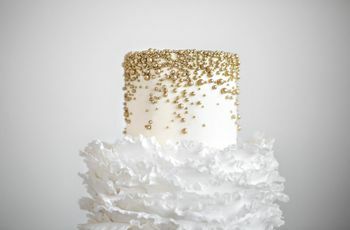 If you’re having a classic wedding, opt for a cake with a simple color palette and minimal details. 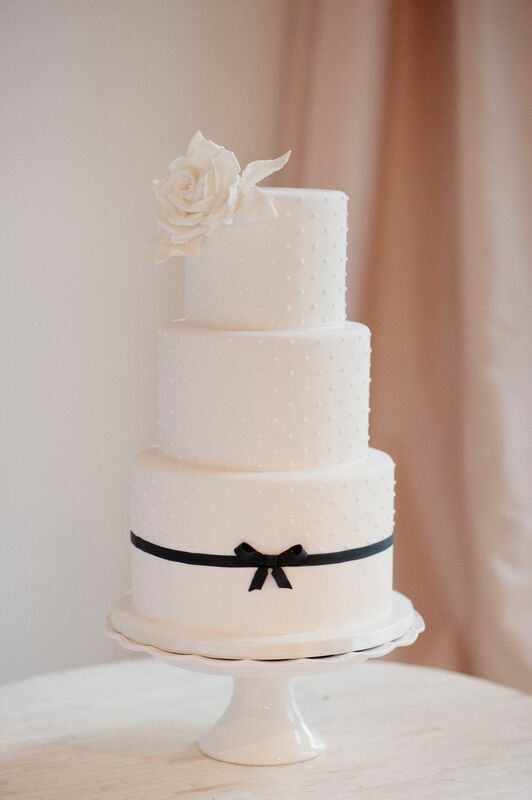 We love how the black bow stands out on this three-tiered beauty — it adds just the right amount of flair. 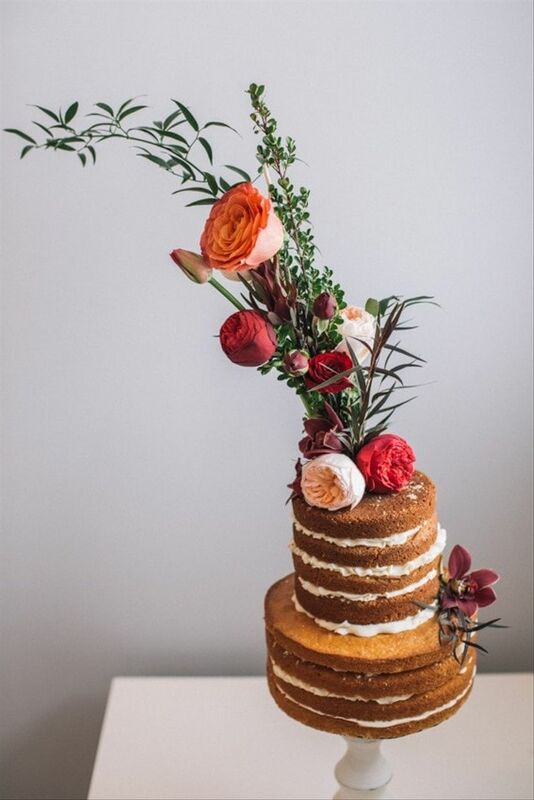 For a boho wedding cake, don’t be afraid to get a little creative! 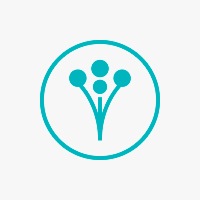 Adding natural elements, such as fresh flowers and greenery, evokes a laid-back, earthy vibe. 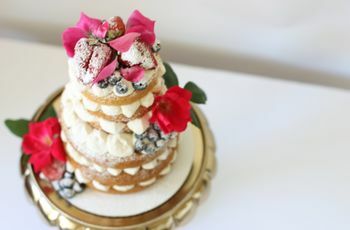 Naked cakes (when the outer layers are left unfrosted) are a fun and trendy option, too! 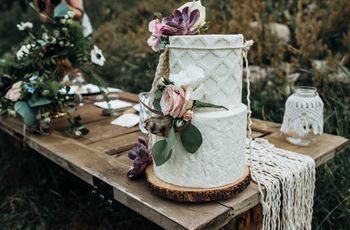 Neutral colors are the key for creating a beautiful rustic-inspired cake. 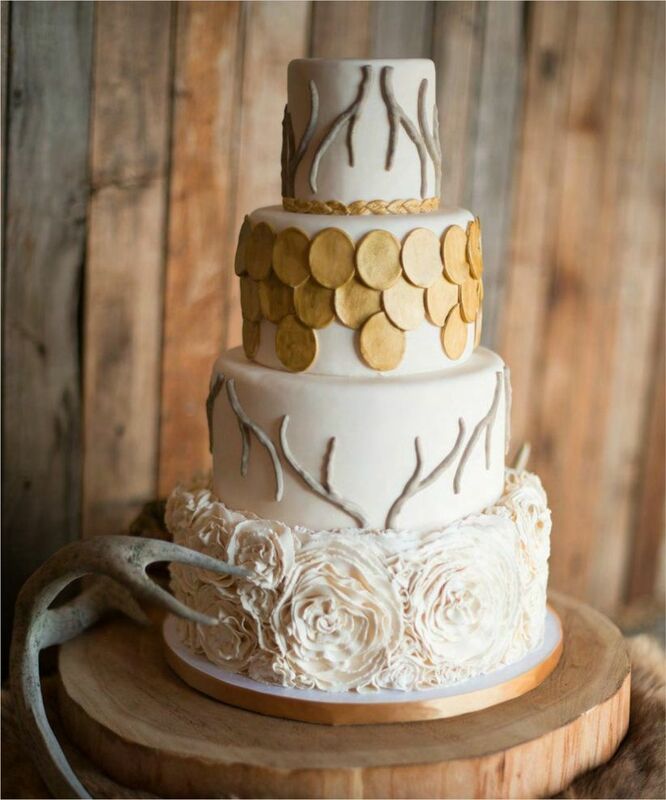 We especially love the ruffled flowers, handmade antlers and gold details on this one! Experiment with avant-garde details, such as metallic colors and geometric shapes. 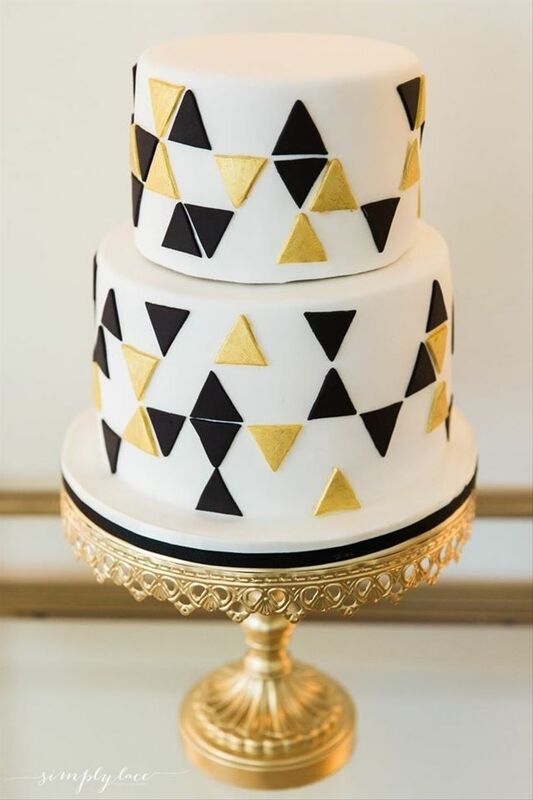 Fondant will give the cake a smooth, clean look, while a simple color scheme keeps it contemporary. 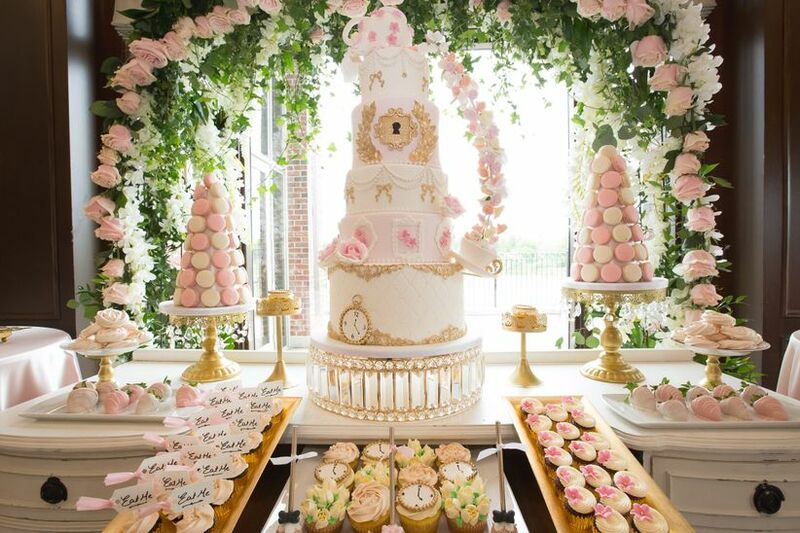 If you’re having a whimsical-inspired wedding, your cake should be just as playful as your personality! 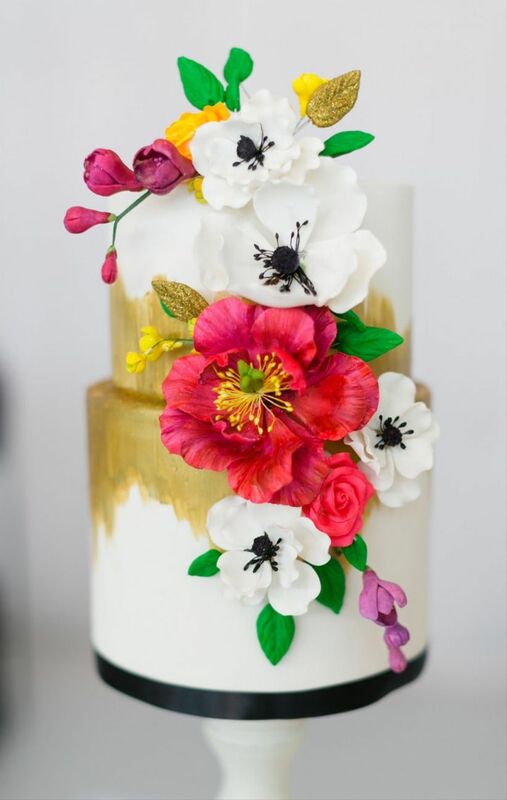 Ask your baker to combine bold colors, three-dimensional elements, and watercolor details to create a masterpiece that’s undeniably fun. Soft colors, such as blush pink and ivory, fit perfectly with a vintage theme. 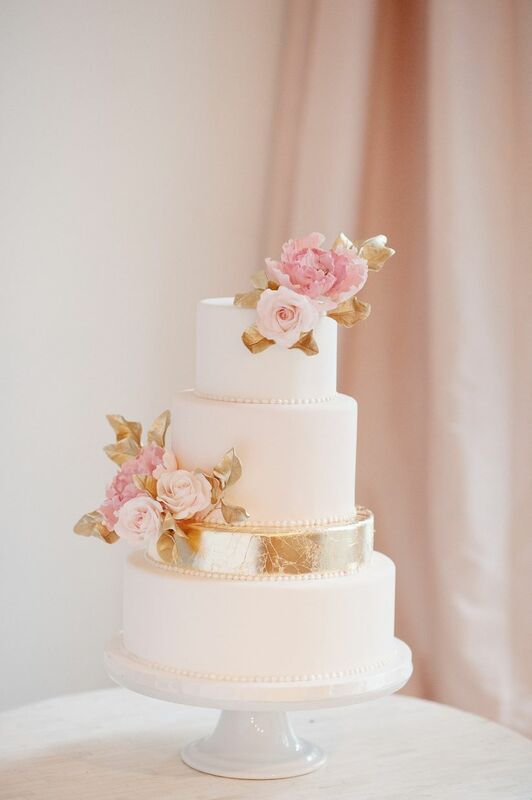 Keep the overall look of the cake simple and add flowers or metallic details if you want to subtly incorporate a few trends. 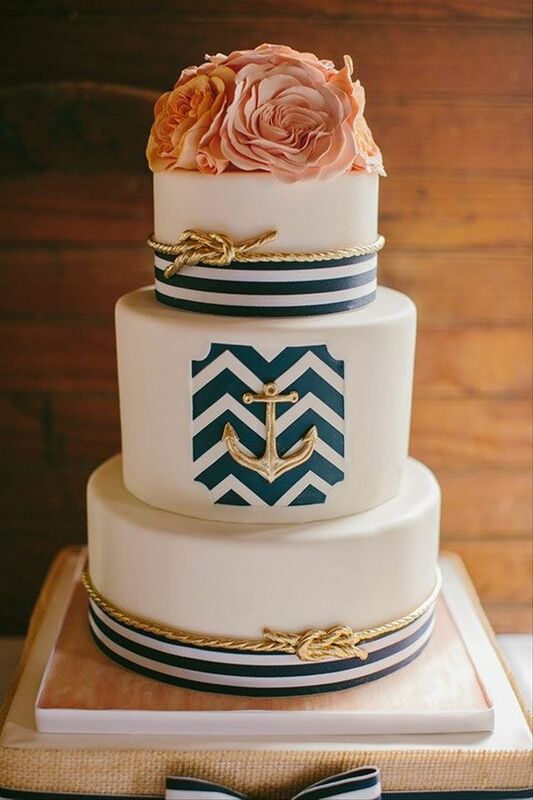 For true prepster style, add nautical elements, such as ropes and anchors. Finish the look with a navy, white, and pink color scheme, and don't forget the chevron stripes! If you love show-stopping elements, bring the wow factor to your reception with a tall five-tier cake! 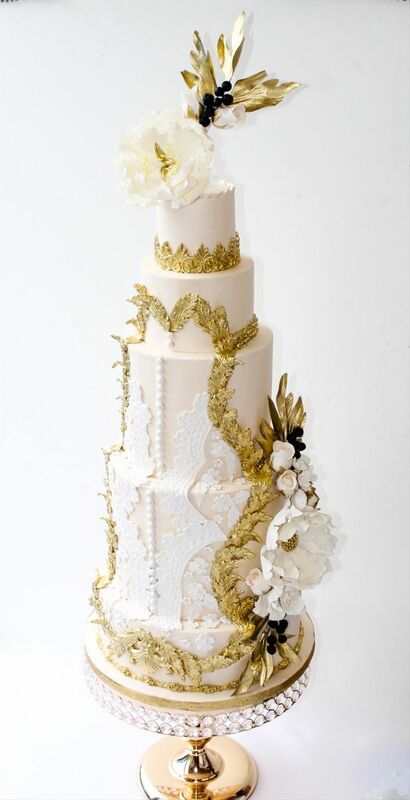 This one features gold filigree and lace-inspired details topped off with stunning handmade flowers. We think that this sweet pastel cake would be perfect for a garden wedding. Floral watercolor motifs like these are pretty, feminine and oh-so-trendy!